A unique guided tour in the beautiful city of Pisa, which let you know discover the ancient Maritime Republic. The guided tour starts from the heart of the city: Piazza dei Miracoli. 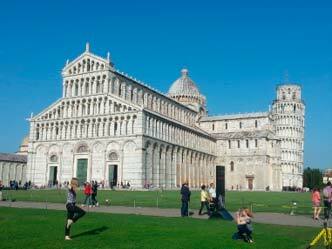 You can learn about its amazing monuments and admire the symbol of Pisa: the leaning Tower, now very famous in the world. Then the tour continues in Piazza dei Cavalieri, the square of the knights: ancient order of knights instituted by Cosimo I de Medici, Grand Duke of Tuscany in 1561. The square follows a project by Giorgio Vasari. The palaces and the Romanesque churches will tell us the long story of the city whose origins probably are Etruscan. Then we arrive in the old town walking through the narrow streets that still keep medieval features and to the open air Lungarni: the path along the river Arno where the lines of the ancient tower houses’ ogival arches weave with the modern lines of the University. In the afternoon, you could enjoy a guided tour in an organic olive oil mill, giving you an interesting and detailed introduction to the world of extra virgin olive oils, the methods of cultivation of the trees, the techniques for extraction from the olives. 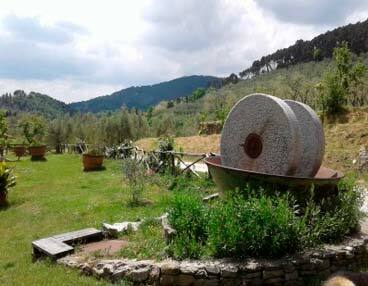 Then you can have a look of the mill and the machinery and the technology used for production. Beside the modern machineries, you can admire an ancient oil mill, used in the past to compare the modern technologies with the ancient ones. At the end, you can finally taste this “green gold” (so called in Italy) on a slice of toasted bread!